The T05B are a modern boot that are made to be easy to take on and off. They feature both Back Zip and large elastic side panels. Ideal if you need a little more give to your ankle. 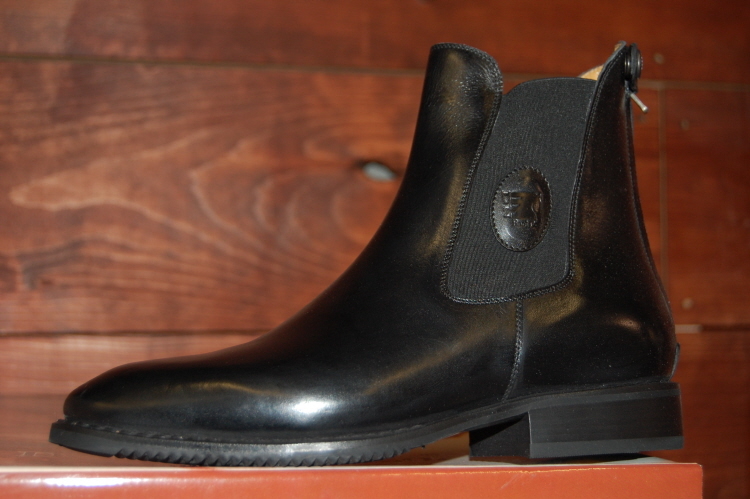 These boots are perfect for everyday wear around the farm or for a ride out in the country. Made from the finest Italian leather these boots are super soft yet hard wearing making them long lasting boots. Features; Back zipper, Elastic side gussets. Grain calfskin upper and lining Leather insole.